﻿Dear Families, please enjoy learning about holiday traditions from around Saline and the world below. Please be aware that most of the information comes from families around Saline, and some of the explanations do include a religious element (this is hard to avoid when talking about holidays, as most have a religious element. While these are great to learn about, they are not meant to express my personal beliefs, or those of the school. Enjoy! For cookie recipes from around the world or a great site on Holiday traditions all over the world (organized by country of origin) please click on the button below. For more on how Saline celebrates the holidays please view the information below (organized by country of origin when known). On Christmas Eve morning we take 12 dozen donuts out to the community to give away to ppl working. The kids go into local shops and give 1/2 dozen boxes of donuts to those working and sometimes even sing a carol or two. We then go to church at 4 and have Chinese for dinner before going home to open one present on Christmas Eve. We enjoy spending the time together, selecting candy and gluing it onto our houses to make nice designs. I like when my dad holds me up high so I can put the angel on top. Celebrating the birth of Jesus, Presents (of course), making cookies, sending/getting greeting cards from friends & family. Being able to give and bless others. Enjoying our family traditions. The elf on the shelf comes every year from thanksgiving until Christmas, bringing goodies and toys. We also make gingerbread houses and a lot of cookies. 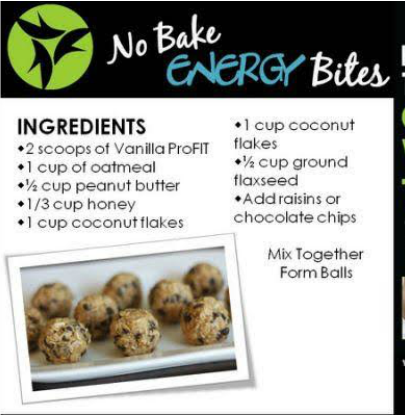 Check out one of the cookie recipes next to this post. The first ingredient is not necessary. 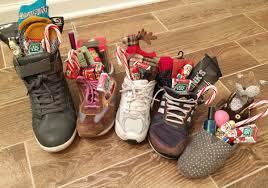 Our tradition is to leave our shoes outside of our bedroom door the eve of St. Nicholas day. In the morning, we find that St. Nick has filled them with a Christmas ornaments and some holiday goodies. The modern Advent wreath emerged in Germany and spread throughout Europe and beyond in the 1930's. We like learning that Christmas isn't just about Santa (Though he's pretty cool!) ;). To learn more about what people who believe in Advent think, watch the video below! We each take a piece from a wafer that is sent by my family from Poland and wish each person a blessing. The wafer is very bland and if you accidentally break off a large piece, you still have to eat the whole thing. Sometimes it doesn't always taste that good. We all sit around and read The Night Before Christmas and it gets everyone excited for Santa to come! Most books in Iceland are sold from September to November. It's a national tradition, and it has a name: Jolabokaflod, or the "Christmas Book Flood." Giving books as presents is very deeply rooted in how families spend Christmas. Books are given the night of the 24th and people spend the night reading in bed. Every Serbian family has a patron saint of the Serbian Orthodox Church. Slava means praise or glory. Slava parties are a time to gather family and close friends to your home, eat a lot of traditional Serbian food, celebrating your family's patron saint on that saint's day. One of the most popular saints is St. Nikolas, celebrated in late December. Slava celebrations for St. Nikolas are a popular winter holiday tradition ... and super fun! Most families eat their main Christmas meal on Christmas Eve. The traditional Spanish Christmas dinner is 'Pavo Trufado de Navidad' which is Turkey stuffed with truffles (the mushrooms, not the chocolate ones!) In Galicia (a region in north-west Spain, surrounded by water) the most popular meal for Christmas Eve and for Christmas Day is seafood. This can be all kinds of different seafood, from shellfish and mollusks, to lobster and small edible crabs. December 28th is 'Día de los santos inocentes' or 'Day of the Innocent Saints' and is very like April Fools Day in the UK and USA. People try to trick each other into believing silly stories and jokes. Newspapers and TV stations also run silly stories. If you trick someone, you can call them 'Inocente, inocente' which means 'innocent, innocent'. New Year's Eve is called 'Nochevieja' or 'The Old Night' in Spain and one tradition is that you eat 12 grapes with the 12 strokes of the clock at Midnight! Each grape represents a month of the coming year, so if you eat the twelve grapes, you are said to be lucky in the new year. El Gordo de Navidad is one of the largest lotteries in the world with a prize pool bigger than €2 billion. "El Gordo" which began in 1812 has become an annual Spanish tradition. The draws, held in Madrid on December 22nd every year is considered a national event, and unique in two ways. "El Gordo de Navidad" draws take hours to complete due to the large number of prizes. Often times families, businesses, and even whole villages will split the cost of tickets. . The balls are drawn from two machines, called 'bombos', which each hold thousands of balls. The "pelota" is drawn from the machine, and children walk across the stage singing out the numbers. All across Spain people are glued to this program, hoping to hear the correct number! See if you can recognize any of the numbers! 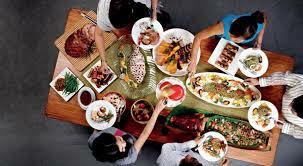 Christmas Eve is known as 'Noche Buena' and is a family day. At midnight, many people go to a Midnight Mass service, known as the 'Misa de Gallo' (Mass of the Rooster). There are lots of fireworks to celebrate Christmas Day. Poinsettia flowers are known as 'nochebuena' (Christmas Eve) flowers in Mexico. 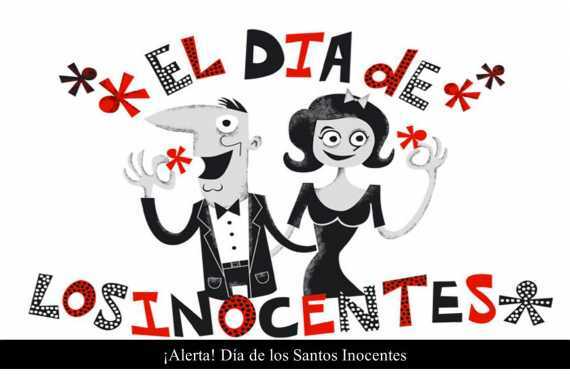 People in Mexico also celebrate 'los santos inocentes' or 'Day of the Innocent Saints' on December 28th ad it's very like April Fools Day in the UK and USA. 28th. In some states in Mexico children expect Santa Claus to come on December 24th. 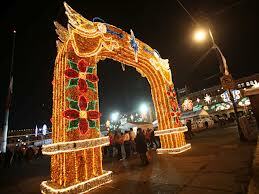 In the south of Mexico children expect presents on January 6th at Epiphany, which is known as 'el Dia de los Reyes'. On el Dia de los Reyes the presents are left by the Three Kings (or Magi). 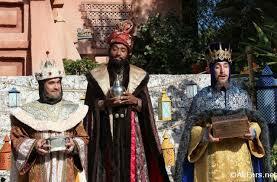 If you've had a visit from Santa on Christmas Eve, you might also get some candy on el Dia de los Reyes! It's traditional to eat a special cake called 'Rosca de Reyes' (Three Kings Cake) on Epiphany. A figure of Baby Jesus is hidden inside the cake. Whoever has the baby Jesus in their piece of cake is the 'Godparent' of Jesus for that year. Another important day, is Candelaria (also known as Candlemas) on the 2nd February and it marks the end of the Mexican Christmas celebrations. Lots of Mexicans have a party for Candelaria. In Mexico, presents might also be brought by 'El Niñito Dios' (baby Jesus) & Santo Clós (Santa Claus).